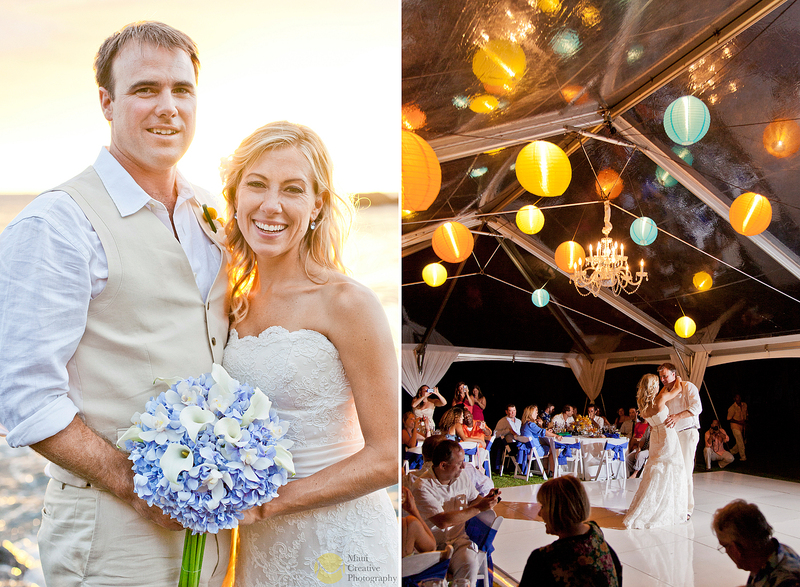 Winnie and Justin dreamt up an intimate beach wedding surrounded by friends and family. 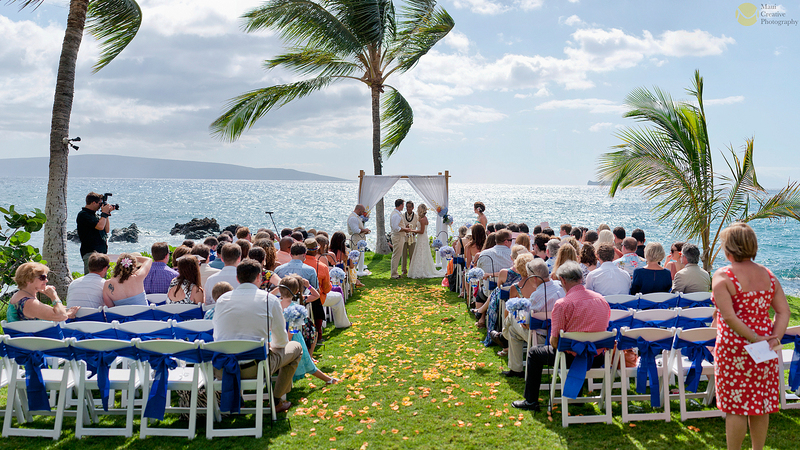 They considered several places and finally settled on Makena Cove (Maui) as the location of this special ceremony. Shortly after making this decision they began researching wedding photographers. From our first conversation, their enthusiasm and passion was evident. They both loved photography and had lots of questions regarding our gear, our approach and delivery options. A couple emails and a phone call later, they asked us to be their photographers 🙂 We were, of course, honored and thrilled. 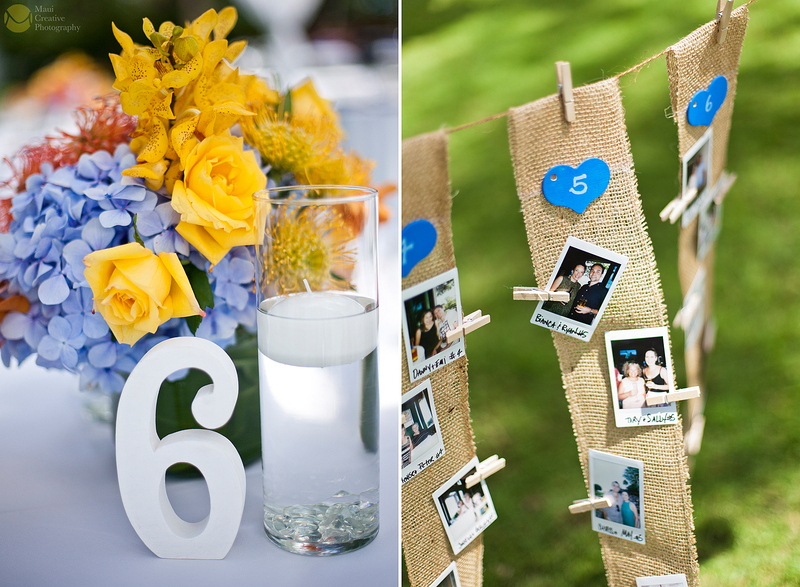 For this quaint wedding, we settled on three hours of photography coverage. We began with the bride and groom at their vacation rental. Here we captured some candid ‘getting ready photos’, details of the wedding items and bridal portraits before traveling to the ceremony site. Once at the beach, we met with Rev. Laki Ka’ahumanu who guided everyone into a beautiful, heartfelt, and (at times) humorous wedding ceremony. After the ‘I do’s” with the ocean lapping up at their feet, everyone celebrated the newlyweds and we moved into family/group photos. In the backdrop, neighbor islands Lanai, Kahoʻolawe and Molokini created a stunning scene. Then, it was time to part ways with family and friends, who said their blessings and departed for the restaurant. The sun was approaching the sea, and it was time to get into our Bride and Groom Portrait Session. We had photographed well past sunset, into the moody deep blues and purples of twilight, when it was time for the bride and groom to head off to dinner with their guests. Smiles and heartfelt thanks reverberated as we said our goodbyes – A beautiful day for this beautiful couple. 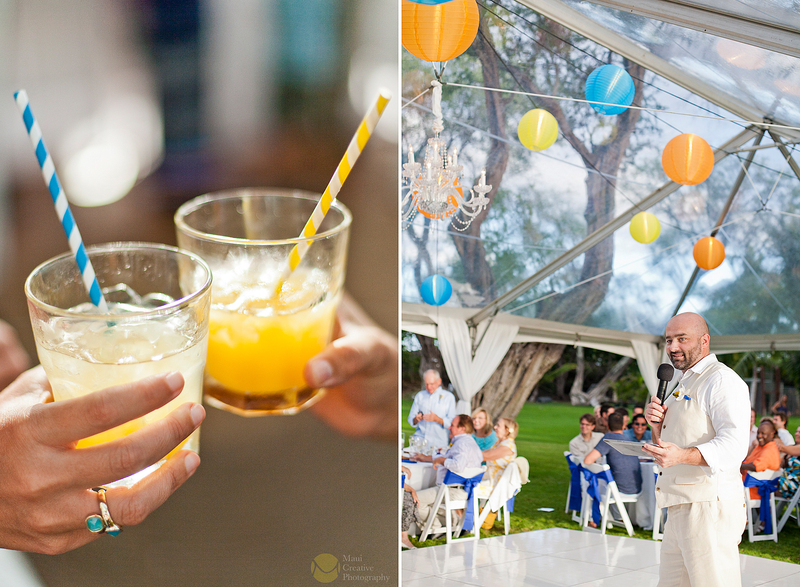 Mahalo, and congratulations to Winnie and Justin! These two are just about the sweetest couple you could ever meet! We first photographed them at our pre-wedding photo session on Maui’s youngest lava flow (La Perouse); It was a beautiful spring day with wildflowers blooming out of the black lava rock and butterflies buzzing about. The sunset was vibrant and colorful, and small surf made it possible to enter the water and capture an absolutely gorgeous portrait with a sky-meets-sea backdrop. 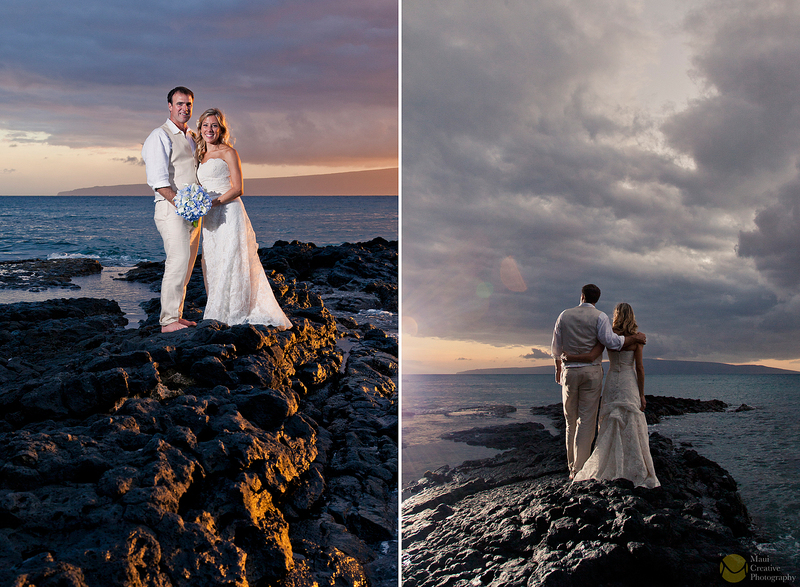 A couple days later we photographed their wedding at Wailea’s Marriott Beach Resort. It was a perfect day for a beach wedding and the resort property provided us with stunning settings for portraiture, details and getting ready photographs. Their theme was “Birds of Paradise” (Shannon’s favorite flower), all the floral arrangements were created by Maui’s top florist, Dellables. The entire day was magic… full of beauty and love – A special day for a special couple. Congratulations to Shannon and Robert! 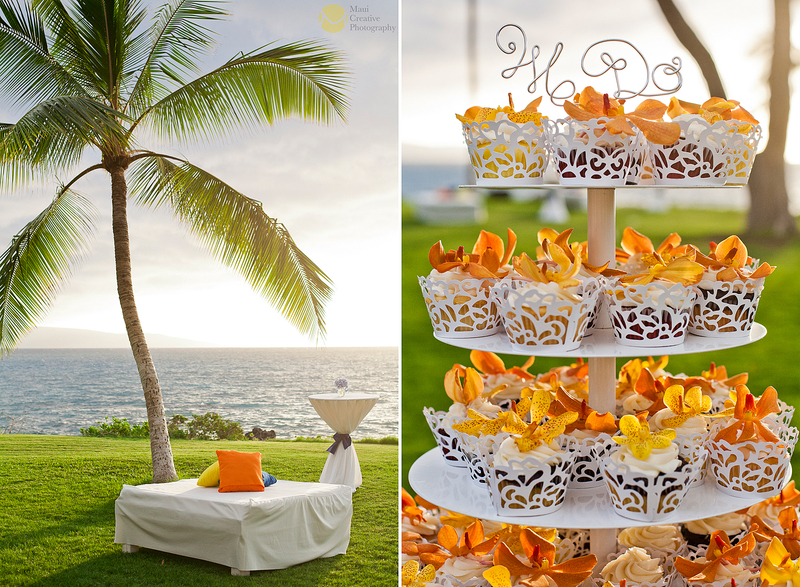 Cake: Maui Wedding Cakes Inc. 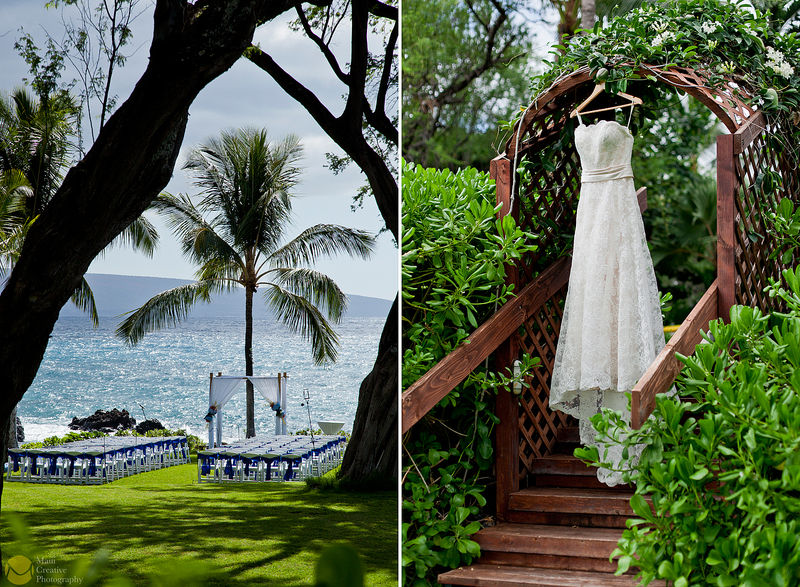 It was a beautiful day for a wedding on Maui’s south shore; Mei was getting ready in her ocean side suite, while Frank changed into his traditional Scottish kilt and garb. 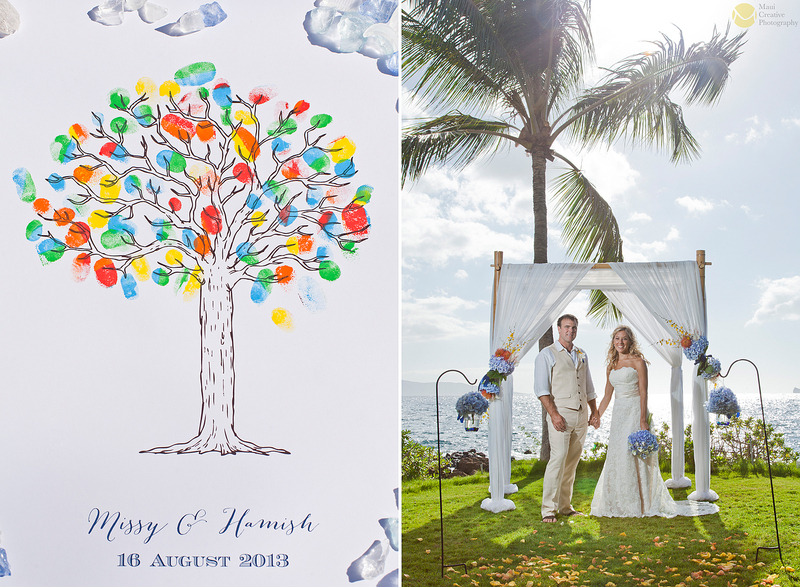 That afternoon, surrounded by their friends and family, our bride and groom exchanged vows and united in marriage on an intimate sandy beach. In between the wedding events we snuck away for a fun, hour-long portrait session and explored Kihei’s coastline during sunset. 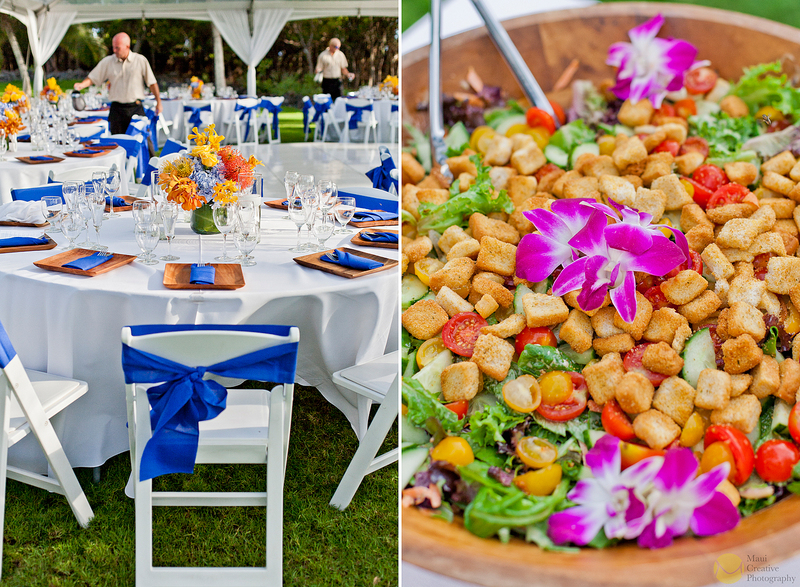 The reception to follow was filled with delicious food, drinks, hula lessons, fire dancing, karaoke and lots of laughter – A perfect Maui wedding for the perfect couple. Congratulations to Mei and Frank!! 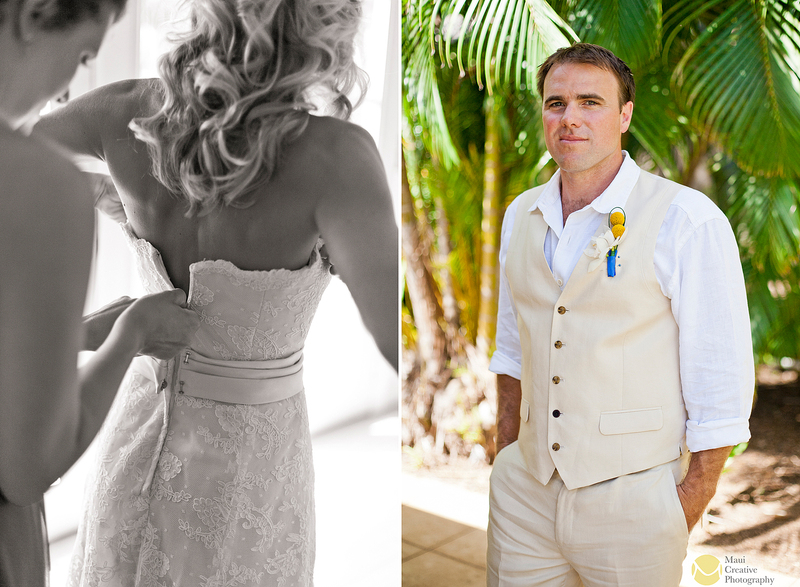 These are some of our favorite photos from their wedding day…. Melissa & Hamish grew up on opposite sides of the world; Hamish from Australia and Missy from New Jersey. This distance didn’t stop them from finding each other. 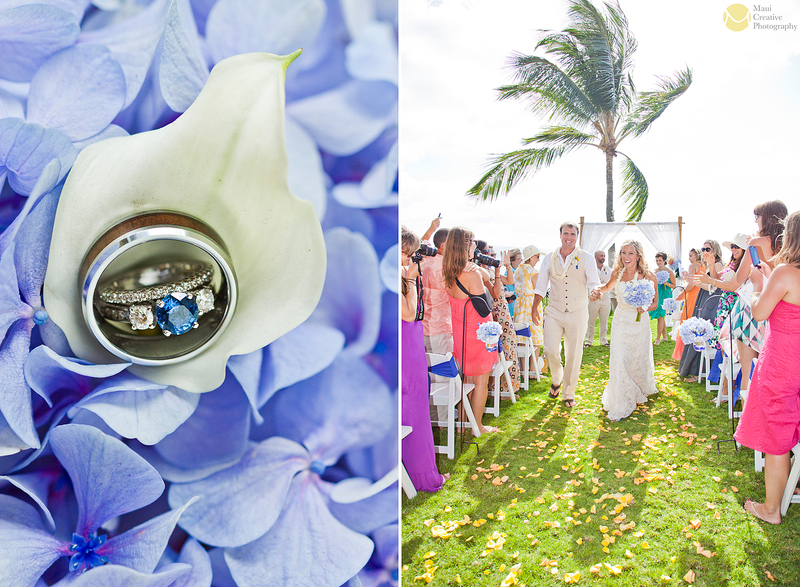 So when marriage was the next step, Maui became the perfect halfway point for their international destination wedding. 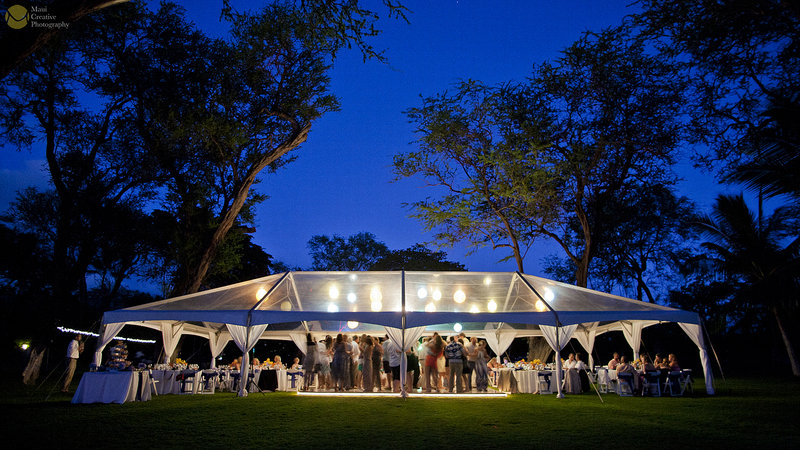 The couple decided they would exchange vows at the oceanfront Sugarman Estate in Makena because, “it has a better lawn,” explains Hamish. “He’s a fan of lawns,” Missy says with a smile. So it was settled, and on that beautiful day, the 16th of August, they became husband and wife. The ceremony was full of expression; loved ones gave speeches, sang songs and the newly wed couple completed their union with a sand ceremony. It was an amazing day to witness; the whole event was a reflection of the couple’s colorful elegance, even the island seemed to celebrate turning out one of the most brilliant sunsets we’ve ever seen. Congratulations to Hamish & Melissa, wishing you both a lifetime of love & happiness together!